Uniplaces is a housing platform that helps students and young professionals find their temporary home away from home. The portal offers a wide range of properties, from rooms in shared apartments to private studio flats. All of them are verified by Uniplaces and come with a full refund policy, valid for the first 24 hours of the move-in date. All Koiné students have the chance to use an exclusive 10% discount on the service fee. Use the promocode KOINE2017 and you can use your 10% off straight away. Uniplaces has thousands of properties in Rome. Spotahome is an online accommodation platform for students and professionals who want to book mid to long-term accommodation. Choose the easiest way to find an accommodation: each apartment advertised on our website is personally visited by a professional photographer who takes photos, an HD video and designs a floor plan of the property. We offer tenants accurate property descriptions and photos, allowing them to make an informed decision before even arriving to their new home. Use the Promo Code to get a 5% discount on the booking fee. This Promo Code is provided by Koiné Italian Language Centre. Just 50 mt. from Colosseum, Q Domus offers a wide choice of five comfortable apartments. It is the perfect place to reach by foot the main attractions of Rome. Finely furnished apartments with a king double bed, a living room with extra bed available, a well equipped kitchen and bathroom. 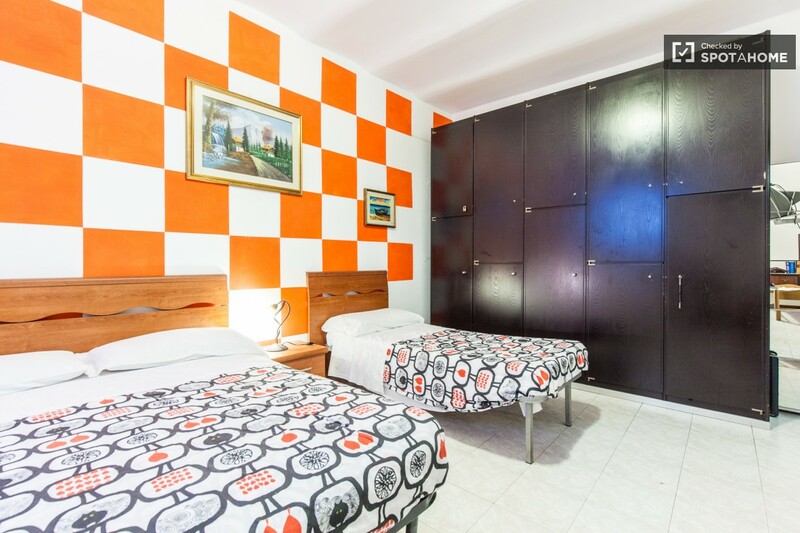 Air conditioning, wifi, TV, washing machine and telephone with direct line in each apartment. 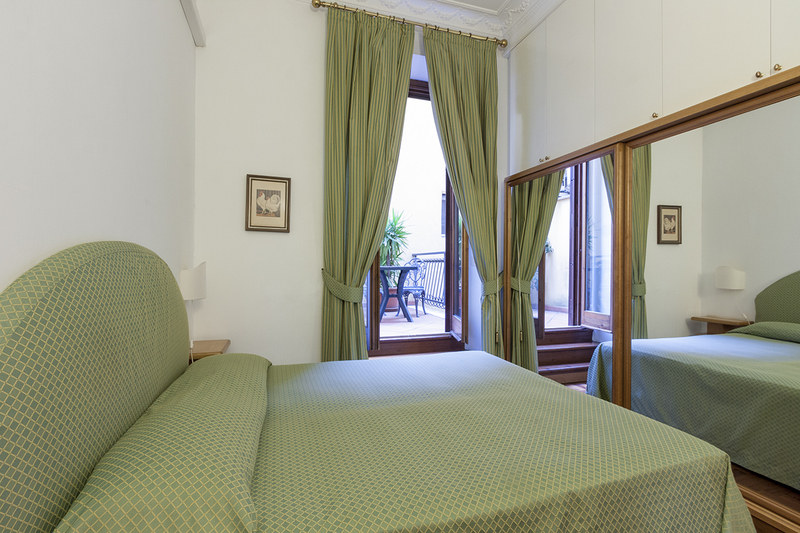 The services allow you to enjoy a stay in a private and comfortable atmosphere. There is no promocode. Please contact the School and request a quote! 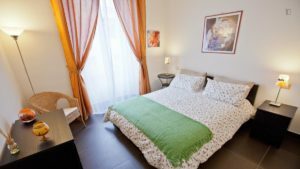 The flat is located in the heart of Rome, in front of the beautiful Basilica of San Giovanni in Laterano, just a two minute walk from the School. It is close to Termini railway station and surrounded by excellent transport links. On the last floor of a wonderful historic building, this comfortable flat offers the opportunity to see the roof terrace with a great view of the whole city. 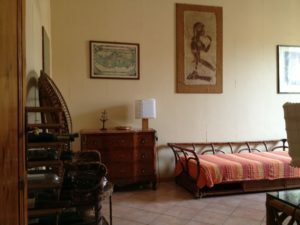 It is completely furnished and has two bedrooms with a shared bathroom. The owner, a kind and friendly lady, lives inside. The fully equipped kitchen is shared. Prices include Wi-fi and cleaning service. Local amenities are available within a walking distance, i.e. parks, restaurants, pizzerias, shops and street markets. From here you can easily reach Colosseum, Imperial Forums, Piazza Venezia and all most important monuments. A good base point for a nice and relaxing holiday. No promocode. Please contact the School and request a quote!